If you're in the mood for a healthy and hearty vegetable dish that will leave you full and satisfied, you're on the right page. 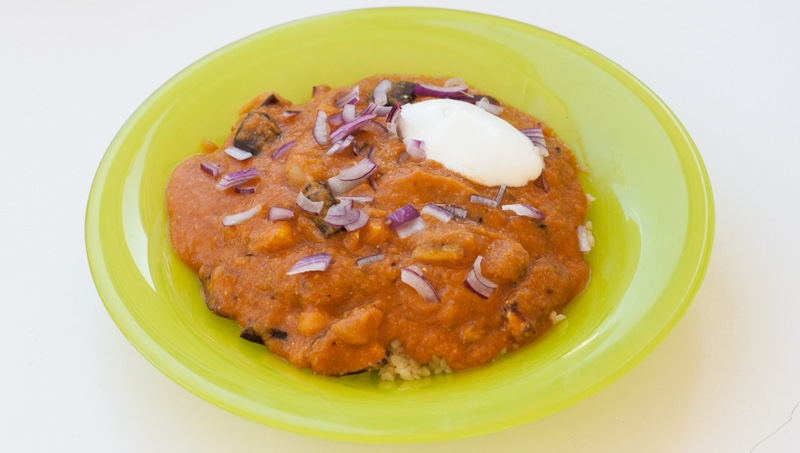 The combination of chickpeas with rice creates complete proteins, which means that it's a great substitute for meat. I chose to make this with an Indian flair. I included a few basic Indian spices, I pureed the chick peas to make a creamy curry, then added the cubes of roasted eggplant for texture. Try it out! The first step is to get the eggplant goin. Dice it in 1/2 inch cubes and drizzle with some olive oil. Place them into the oven at 400F / 200C until they are nicely browned (about 30 mins). Next, get a pot started over medium heat. 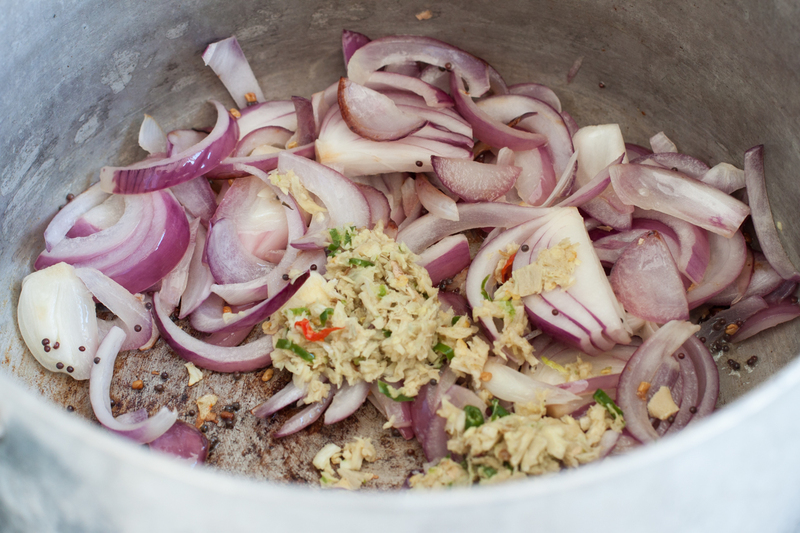 To be prepared for the mashin, slice the red onions roughly (you'll puree them later along with the chickpeas, so no reason to be precise.) Also, peel and roughly chop your ginger and garlic. Chop your birdseye chiles too. 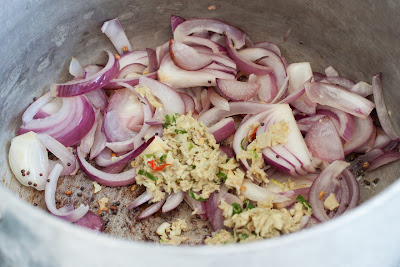 Add the onions to the pot with the 3T of olive oil. Let them lightly brown. If you have a mortar and pestle, add the cumin seeds, fenugreek, tumeric, and the mustard seeds. Crush them up into a powder, then in goes the ginger, garlic, and chiles. This paste should smell amazing! 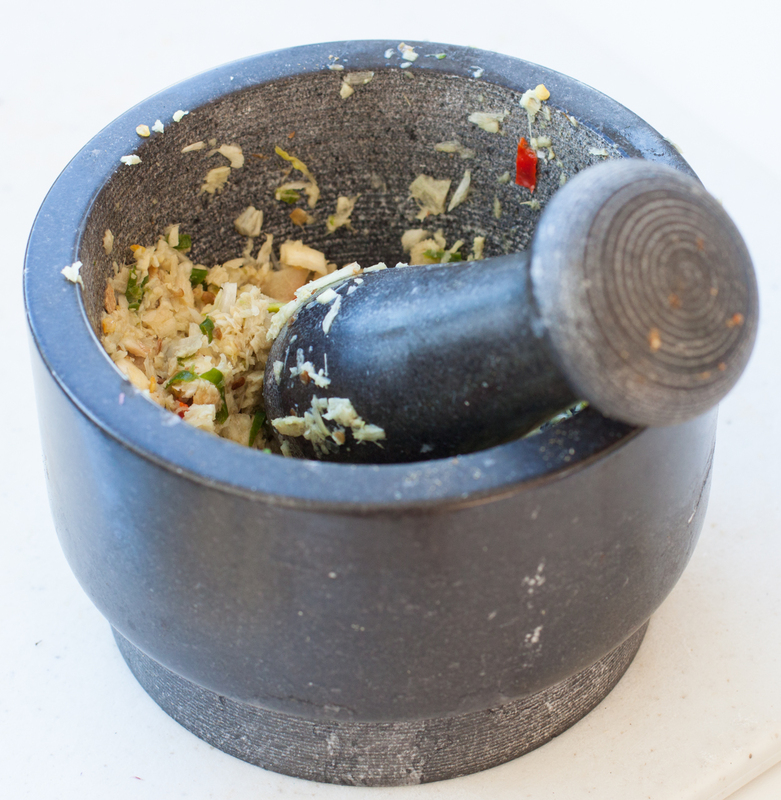 If you don't have a mortar and pestle, just chop everything and toss it in the pot! 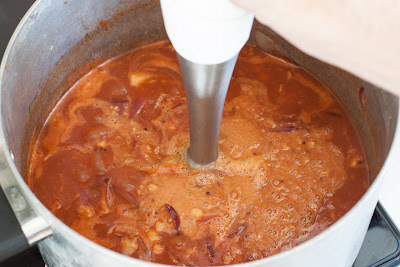 Add the paste into the pot. Wash your chickpeas. 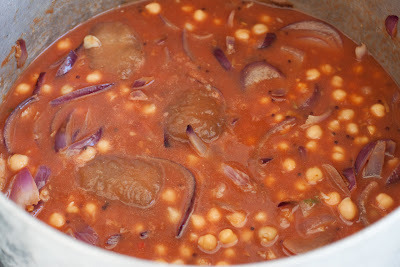 Once you can smell the paste, dump the chickpeas into the pot, along with the chicken stock and 2 cups tomato puree. Once it starts a'bubblin, reduce the heat to low and let it cook for about 5 mins. Use a stick blender or a food processor to smooth out the curry. 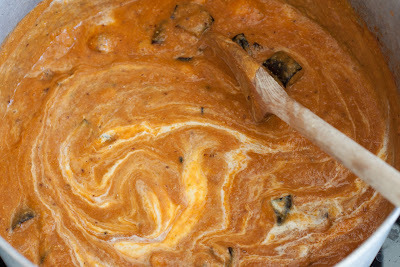 Swirl in the yogurt and juice your lime into the curry. Add 2 puffs of hing (if you have it) and adjust for salt. 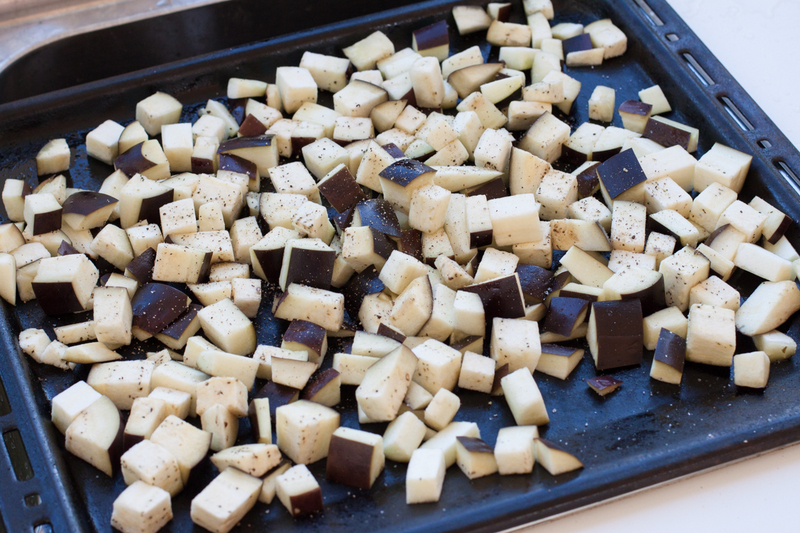 Your eggplant should be roasted and ready to stir in. Let the flavors integrate for about 5 mins, then serve over rice or with garlic naan.